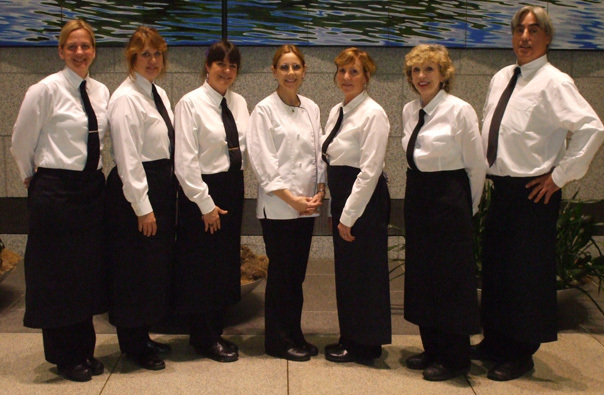 Delicious Catering is always looking for friendly, hard working, team-oriented individuals to join us! For all hiring inquiries, please email your resume and a cover letter to our Staffing Manager directly at jessica@deliciouscatering.com. Please be sure to specify if you are also interested in working in our production kitchen. All culinary staff candidates must have a thorough knowledge of proper food preparation, handling techniques and food storage. Only resumes emailed to this address will be considered; no calls please. We are looking forward to meeting you. Physical Demands: While performing the duties of this job, the employee is required to walk/stand up to the entire day or duration of the event. The employee must occasionally reach, bend, stoop and lift up to 50 lbs., reach overhead, perform repetitive motion, and have the stamina to work up to 12 hours a day. Delicious Catering is an Equal Opportunity Employer. I did not have formal training in the culinary arts, but Jan and June welcomed me as I was trying to sort out my post college plans. My love for food and attraction to working for such amazing bosses derailed those plans, and I have been here ever since. Delicious! Catering is a family. It's what brought me back after living away for a long time. We are each others' support network through happy and sad times. We have many in-house and event staff that have been with us for over 10 years. Longevity like this is hard to find in the food industry!